Scott Morgan broke up with the Republican Party to form a brand new one. In 2016, as Kansas voters revolted against Gov. Sam Brownback and his conservative allies in the Legislature, one-time Republican gubernatorial nominee Jim Barnett, saw an opening. 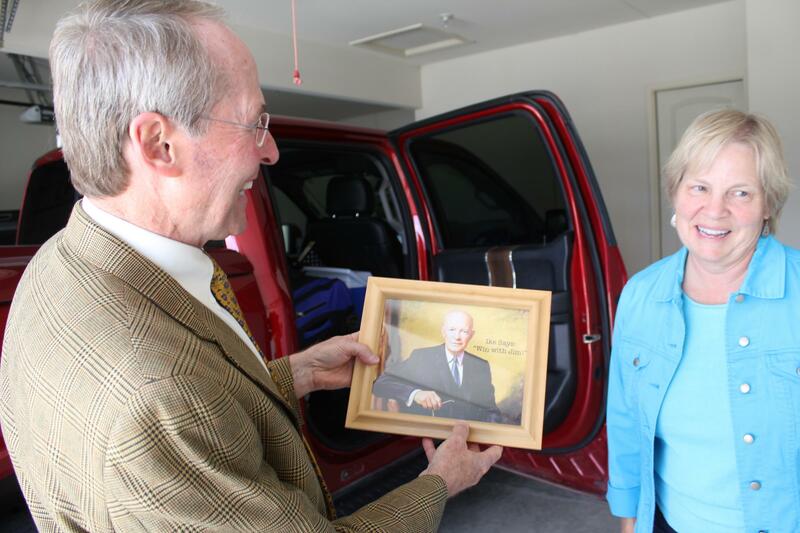 Jim Barnett, with his wife and running mate Rosie Hansen, shows off a picture of President Eisenhower saying, 'Win With Jim.' It was a birthday gift from his in-laws.